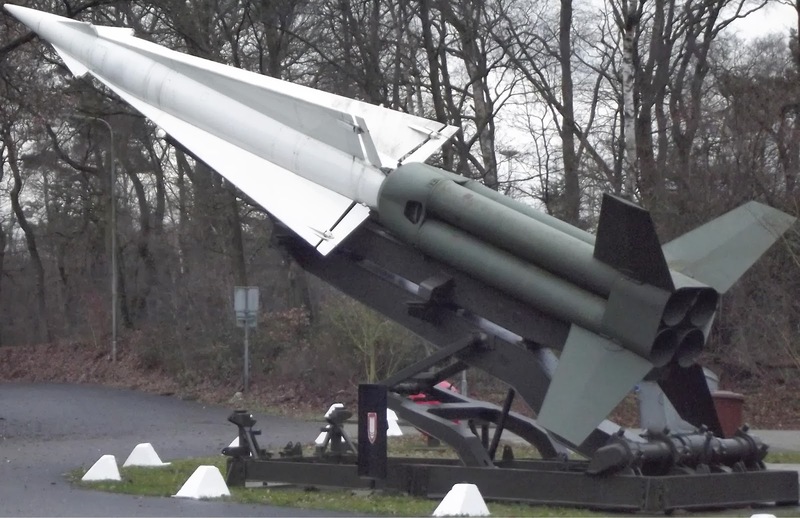 The Nike Hercules (Or SAM-A-25 or MIM-14) was a Surface to Air Missile deployed from 1958 until the 1970's in the US and 1988 outside the US. The missile was designed to offer protection against supersonic aircraft flying at high altitude. 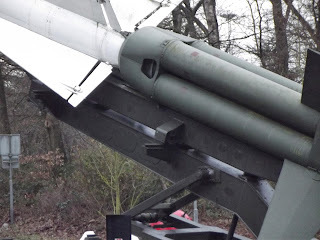 The missile proved to be capable to hit other missiles as well. The Hercules was designed in the early 1950's, needless to say electronics and radars where not so advanced. Radars could see formations of aircraft but could not pick out single aircraft. 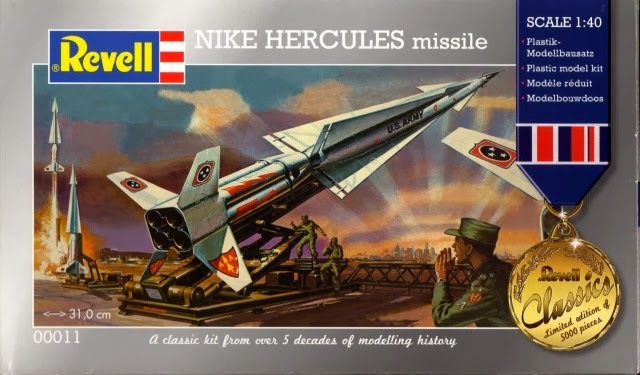 The Nike-Hercules could be armed with a small nuclear bomb to take out an entire squadron of aircraft. This sounds like over-kill but it was the cold war and the fear was always that enemy bombers carried far more heavy nuclear weapons themselves capable of taking out entire cities. The Hercules was controlled by a primitive computer that worked with vacuum tubes and communicated with the radars at the ground station. (The transistor had not been invented yet). 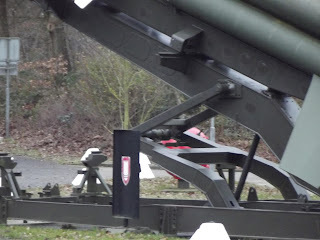 A typical launch site contained an underground storage for missiles, 4 launchers and a control bunker for the handling crew to retreat when the missiles where launched. The whole detection of target to control of the Hercules missile involved three radars usually located at different sites. First the LOPAR radar would detect a target and identify it as a friendly or enemy object. Rough location information was then passed to the TTR of 'Target Tracking Radar'. This radar had to be locked on to the target manually, once locked it tracked the target automatically and provided continues location and speed information. This information was send to a computer and this computer calculated the targets most likely trajectory and a suitable interception course for the Hercules missile. After this the missile was launched and tracked by a Missile Tracking Radar (MTR). The Hercules also transmitted a tracking signal for this radar because the missile could actually not be seen so very well on the MTR, so the MTR was more a kind of an advanced antenna. Both the TTR and MTR passed their information to the targeting computer continually allowing for corrections to be made in the missiles trajectory. In their turn instructions where send to the missile. This cycle from tracking by the TTR to the sending of instructions continued until the target was hit. The process after the manual locking the TTR on the target was automated and took 36 to 41 seconds. The computer took 30 sec. to calculate a likely trajectory for the target, 4 sec. to calculate an interception trajectory for the missile and their was a 2 sec. window for the crew to decide to launch the missile or not. The missile was given max. 5 sec. to launch, in case of a failure the whole process was repeated for one of the three remaining missiles. The range of the Hercules was 140 km, it's ceiling 46 km and it's speed was 4500 km/h. 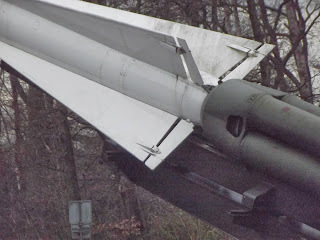 The missile was powered by solid fuel and was of a two stage design. 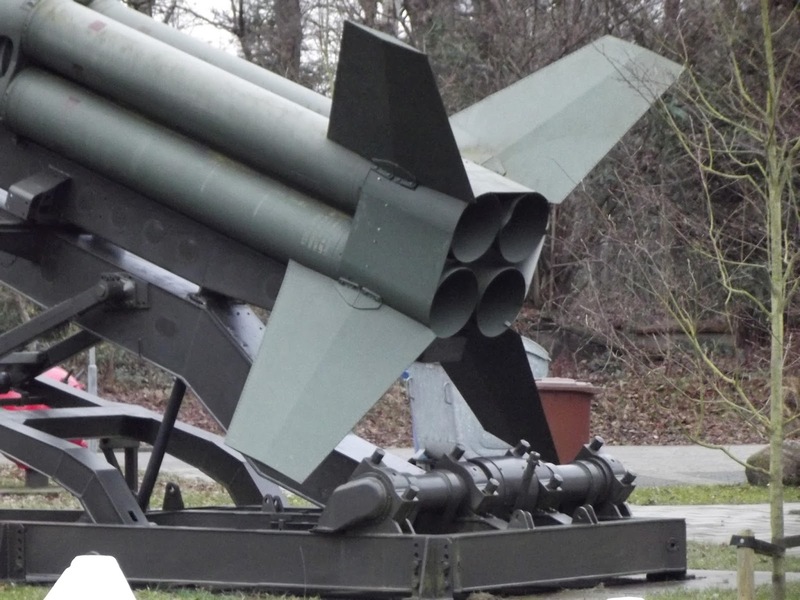 The warhead could be a single 28 kT nuclear bomb or two smaller charges of 20 kT. The Hercules could also be armed with a conventional load of 232 kg of explosives and 270 kg of fragmentation material. 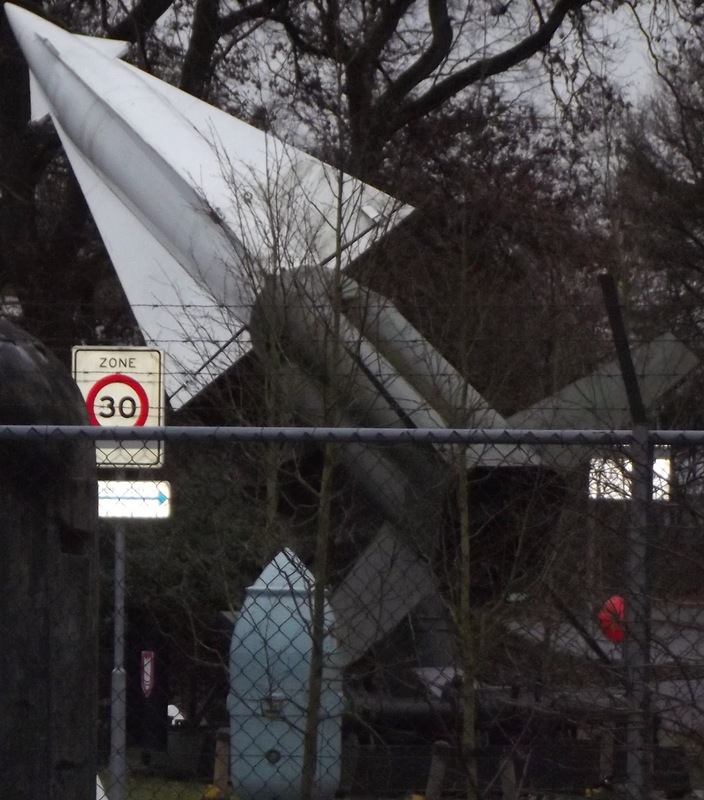 At it's peak there where 130 Nike Hercules bases in the US alone. Conventional armed systems where deployed by Belgium, Denmark, Germany, Greece, Italy, Japan, The republic of Korea, The Netherlands, Norway, Taiwan and Turkey. 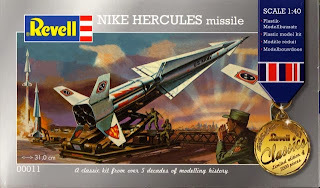 The Nike Hercules is replaced by the MIM-104 Patriot system still used today. Testing a Nike-Hercules. The solid rocket boosters give make the launch of the missile similar to that of an fire arrow. 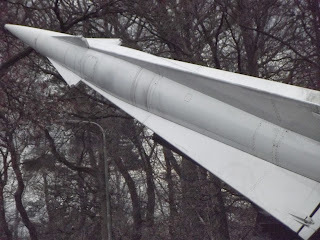 The large and sudden acceleration of the missile make clear that the thrust to mass ratio (F/m) is a lot larger then that of a rocket used for spaceflight.